A year ago, Talha Ahsan, a British poet with Asperger's, was extradited to a supermax prison in the US. 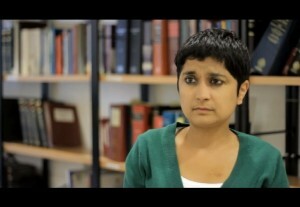 Shami Chakrabati, director of human rights organisation Liberty, speaks to Hamja Ahsan, coordinator of the Free Talha campaign, about the cruel absurdities of UK extradition policy. As part of a larger global protest, with over 400 marches in 150 different countries, hundreds of Anonymous members descended on London's Trafalgar square on the night of November 5th. 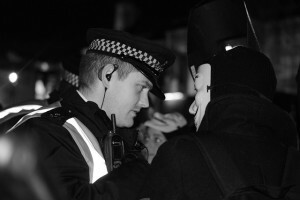 The protest featured a surprise guest-appearance by Russell Brand and some less surprising heavy-handed policing. A new production by the London Algerian Ballet, premièring this Friday at the Tabernacle, offers a modern take on traditional Algerian music and dance. We still routinely witness gender inequality in our everyday lives, so is it not time for all men to actively challenge the sexism of their peers?